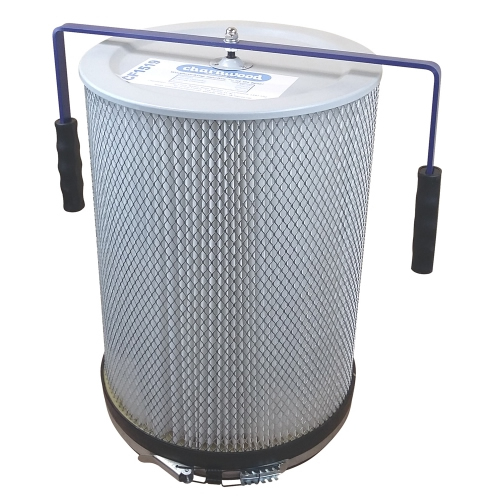 The Charnwood Cartridge filter – CF2024 will upgrade your dust extractor for fine filtration. 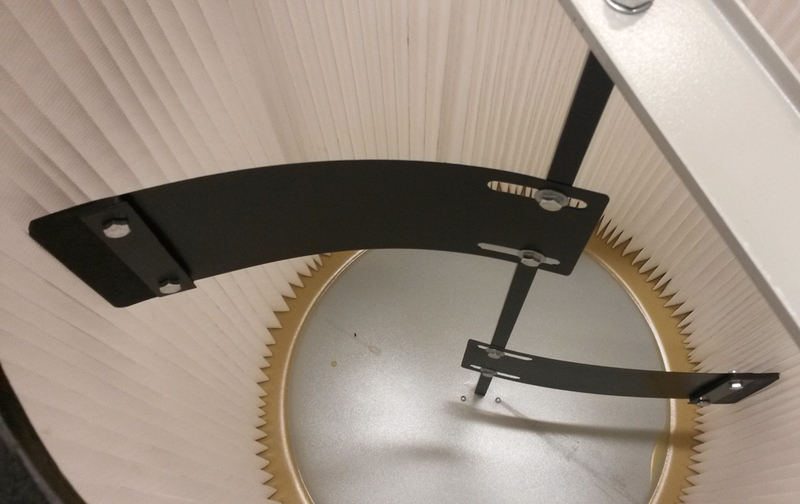 This cartridge filter can be used to upgrade any chip extractor with a 500mm diameter collection drum. You simply replace the cloth filtration bag with the cartridge to increase the filtration performance down to 1 micron particle size. Please remember you will need 2 if you have a twin bag system. Therefore the Charnwood Cartridge filter – CF2024 allows an extractor to be used for operations which produces very fine dust. This includes the sanding and cutting of MDF. The extractor can also still be used with all the normal workshop machines. Such as bandsaws, table saws, planers, thicknessers and also spindle moulders. The Charnwood Cartridge filter – CF2024 is very simple to install. It is also a quick process. 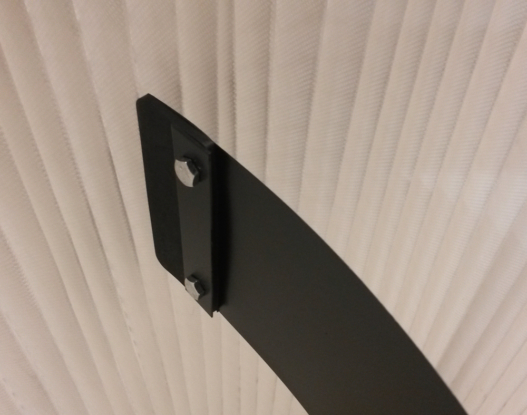 The existing cloth filter bag and support arm on the extractor is firstly removed thus allowing the cartridge filter ti fit in its place. 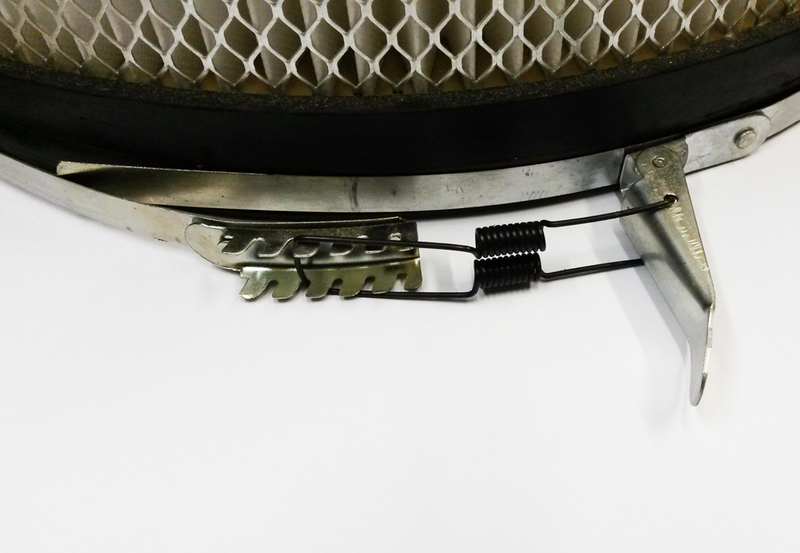 The metal quick action clamp provided secures the cartridge in place. To allow a long life, so as to avoid deterioration in performance the filter also includes an internal cleaning device. This works by gently rotating the handles after each use. This moves the internal paddles which then clean the inside of the filter and prevent clogging. 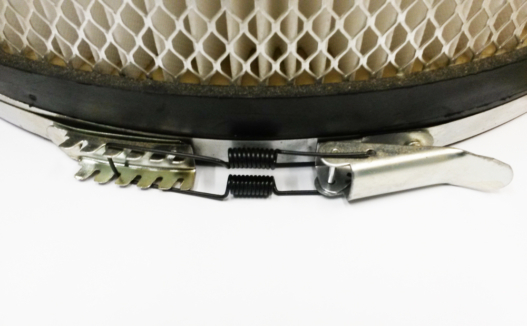 The Charnwood Cartridge filter – CF2024 is also supplied with metal fixing clamp and foam insert to ensure a good seal against the collector drum.